So this is us. Well, me anyway, and my take on “us”, since I am more often than not the one doing the writing. This is where I write about Life… as we know it. Lot’s of times happy stuff, lot’s of times fun stuff, lot’s of times complaining stuff, sometimes even seemingly pointless stuff. Writing helps me reflect on our life… the goods and the bads and to be thankful for all of it. So what exactly does this little Life of ours entail? Well, there’s me. I’m a mom and a wife and I’m enjoying every minute of it. Okay, maybe not every minute of it, but I at least enjoy complaining about it when I’m not literally enjoying it. On the other side of this parenting adventure is Ryan, my best friend and husband. Yes, I’m one of those gaggingly cheesy people who says “I’m married to my best friend” and I’m sorry, but it’s true. I couldn’t have asked for a better fit for me and while it’s not always peaches and cream, for the most part we’re pretty stinkin’ happy with our life together. We currently have two kids to round out our little family… two crazy kids who keep our house plenty busy, messy and noisy. Luckily they also go to bed early! Savannah is almost nine years old and Sawyer is now six. In May of 2006, we moved our little family from Portland, Oregon where all of our immediate and the majority of our extended family reside, to start a new phase of our life in the Midwest. Although we both grew up in Portland and loved it there, we hoped that by leaving the West Coast for awhile we could enjoy a slower paced life (read: affordable) in the Midwest for a few years while the kids were still young and we were still feeling adventurous. Ryan got a great job and we had a great house with a huge yard to enjoy. Before we could get too comfortable however, that job was uprooted and we found ourselves having to make more moving decisions not once, but twice in the next few years. Long story short, after starting out in Michigan, we camped out in Missouri for three years, just outside of St. Louis, and more recently just moved to Nashville, Tennesee, making new friends and memories all along the way. You may find other "characters" in the ramblings on these pages, additional "family members" here and there, as we have also recently embarked on the adventure of being a State Resource Family, aka Foster Parents. We are hoping to someday grow our family permanently through adoption, but at the very least, want to open our home to any kids that need some extra support and love during a hard time in their lives. Helping and healing families has always been on our hearts. Actual names and most details (and faces) of these children and situations will most often be kept private in these public writings, but please feel free to contact me if you ever want to connect more specifically about Foster Care. This blog started out as a way to keep all of our friends and family, both near and far, up to date on our life here. It has turned into more of a journal of mine and of our family… the ins and outs of everyday stuff, as well as the bigger changes, milestones and thoughts on the larger picture of our life. So read along if you would like. It’s here for the sharing. "Miya"... came to us as tiny 6 week old and stayed from mid-March to mid-June 2012, and continued to visit us (we helped her guardian out several days/nights a week) until October when, at almost 8 months old, she was permanently reunited with her father. We still see Miya often. "Remy"... arrived at almost 11 months old on the very last day of June, 2012 and we sent him off to live with some relatives in November of the same year when he was 15 months. "Lexi" and her baby "Cale" came to stay with us for a bit; November-December 2012. Lexi was fifteen and Cale was 8months old. Newborn baby "Coen" arrived mid February 2013 at just two weeks old and we're still filling this little bundle up with all the love we can while he's here. 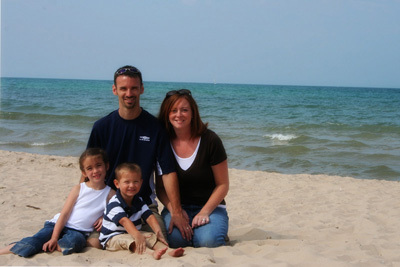 our family © 2008. Template by Dicas Blogger.